Past Chair of Leeds Community Foundation, Rachel Hannan has brought together a collective of fellow business leaders and philanthropists to join her supporting The Leeds Fund. Through this targeted grants round we are looking to support enterprising community led projects that promote inclusion by enhancing the employability skills of those further from the job market and help to create jobs. Applicants can apply for funding towards resource and capital expenditure if relevant to the project. Projects should initially be delivered within 12 months. • Are based in or supporting people living in the Leeds Metropolitan District Area. Individual social entrepreneurs in the final stages of setting up a constituted group or adopting a more formal structure (Community Interest Company, Charitable Incorporated Organisation, etc.) are welcome to apply, but must set up the organisation formally as a result of any grant offered. There are organisations who can offer support or advice to people looking to set up a social enterprise. A good place to start is contacting See Ahead on 0844 870 7215 or info@seeahead.co.uk. The minimum request is £5,000. The maximum is £10,000. Only one application per organisation can be considered. What can the Fund support? We want to fund social entrepreneurs or organisations with socially enterprising ideas that reduce loneliness and provide opportunities for communities to come together. Applications must demonstrate that the socially enterprising activities funded have the ability to become financially sustainable and have the potential to create employment opportunities. We want to fund practical projects with tangible outcomes, increasing employment, especially amongst those further from the labour market. This could include increasing confidence and job preparation skills (CV writing, interview preparation, job clubs, work experience, etc.). Applications must make clear how the funded activities make beneficiaries better able to find and keep good quality jobs. The fund opens on the 9 April 2019 and the deadline to apply is 12 noon on Thursday 6 June 2019. Funding will be awarded in July 2019. To apply you need to complete an online application form available by clicking the ‘Apply Now’ button to the left of this screen. You will also need to submit a copy of the organisation’s governance document and most recent accounts, and a list of management committee/board members, confirming whether any are related. We expect this programme to be highly oversubscribed, you may also wish to consider seeking alternative sources of funding for your project to avoid disappointment. If you’re successful, you’ll also need to sign a funding agreement document and provide a signed copy of your organisation’s most recent bank statement. To start filling in the online form, click the ‘Apply Now’ button to the left of this screen. We strongly suggest you submit your application at your earliest opportunity. Incomplete applications will not be considered. What happens after you’ve applied? We will acknowledge the receipt of your application. We will then assess your application and may need to contact you and your referee during this time. If your application is shortlisted, it will then be submitted to an awards panel for further consideration. We’ll tell you their decision as soon as possible after they’ve met. If you are successful, the grant letter/e-mail will include any additional conditions set by the panel and/or the grant payment and a grant funding agreement you will need to sign. The grant must be spent within 12 months of the date of our letter confirming the grant. You must also complete an end of grant report telling us how the grant has been spent and what was achieved. The deadline for doing so will be specified in your offer letter. Please note that failure to provide appropriate reporting information will exclude your organisation from applying to future grants schemes. If your bid is not successful, we will let you know the reasons for declining it. Please note we have limited funding available and we are not able to fund every application we receive, no matter how deserving the project is. The decisions made by the grants panel are final. 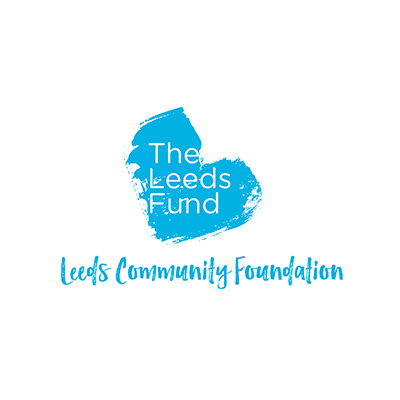 If your application is successful, you will be required to credit support from Leeds Community Foundation’s Leeds Fund, on all materials related to the funded work. Successful projects will be required to be available for a potential monitoring visit from funders. Click the ‘Apply Now’ button to the left of this screen for the online application. If you post documents to us, please send them to the address below using the correct postage and make sure the documents are received by us before the deadline. If you require more information about this fund please contact Leeds Community Foundation on 0113 242 2426 or email grants@leedscf.org.uk.